Miles Hunt was taking a break from archiving material in the studio when I caught him on the phone at his rural Shropshire base, not far from his Black Country roots. “Not so far at all. It’s still Midlands, innit”. 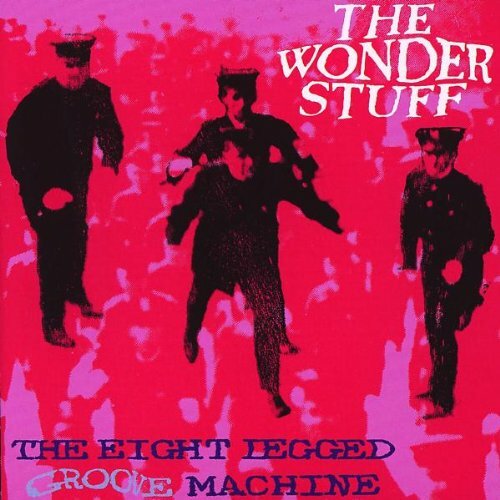 We might as well start with a little history, going back to Miles’ roots, long before Stourbridge outfit The Wonder Stuff came to life. I tell him I hadn’t realised until recently that he’s a nephew of keyboard and horns player Bill Hunt, one of the early members of the Electric Light Orchestra (ELO) that defected with Roy Wood to form Wizzard. So was Uncle Bill a big influence on Miles getting into this rock’n’roll malarkey? Ooh, I love it when an interviewee mentions Slade. It gives me a chance to talk lots of nonsense about Nod, Jim, Dave and Don. I was going to mention the (pretty obvious) connections anyway, but he’s saved me the trouble of trying too hard. It must have given you boys from the Black Country stuff added confidence seeing them make it big. You’ve always acknowledged those great bands from your neck of the woods, covering among other nuggets Slade’s Coz I Luv You and Far Far Away and The Move’s Blackberry Way, The Beat’s Save it for Later, Dexy’s There, There My Dear and even Duran Duran’s Planet Earth. “Yeah, we just wanted to celebrate the music of the Midlands, which I think national media – and by that I mean London – overlooks. “We sat around trying to work out why someone like Roy Wood doesn’t get the praise he deserves. A lot of bands from here – including ourselves – have this self-deprecating sense of humour. It’s part of that Midlands make-up, whether you’re in a band or not. Seeing as you mentioned Slade first, do you think you could ever entice the elusive Jim Lea out to share violin duties with Erica (for the uninitiated, that’s Miles’ partner Erica Nockalls, ‘violinist, vocalist, songwriter and visual artist’) one night, maybe get him on stage at the Robin in Bilston? 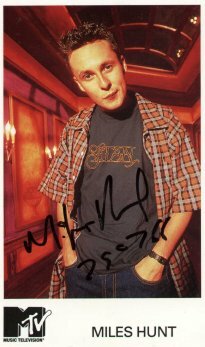 Miles started out drumming for a band called From Eden, who jut happened to be the genesis of both Pop Will Eat Itself and The Wonder Stuff. Could that combination ever have worked? “No! I’ve still got those old tapes, all digitalised now. I see the worth in it, but we were all so young. All we were was the result of our influences. I was trying to play like a cross between Slade’s Don Powell and Pete de Freitas from the Bunnymen – just hitting the f***ing things as hard as you can! Are you still that ‘big-mouth drummer’ who placed an advert to play in a band into Echo & the Bunnymen and Joy Division? I see your original drummer Martin Gilks was with revered Wolverhampton indie outfit The Mighty Lemon Drops before The Wonder Stuff came to fruition. It’s a small world … kind of. Was there stiff competition among you all? I can’t seem to avoid this during so many interviews with bands who made it big in the ‘60s, ‘70s, ‘80s or ‘90s – it becomes something of a procession of significant anniversaries. 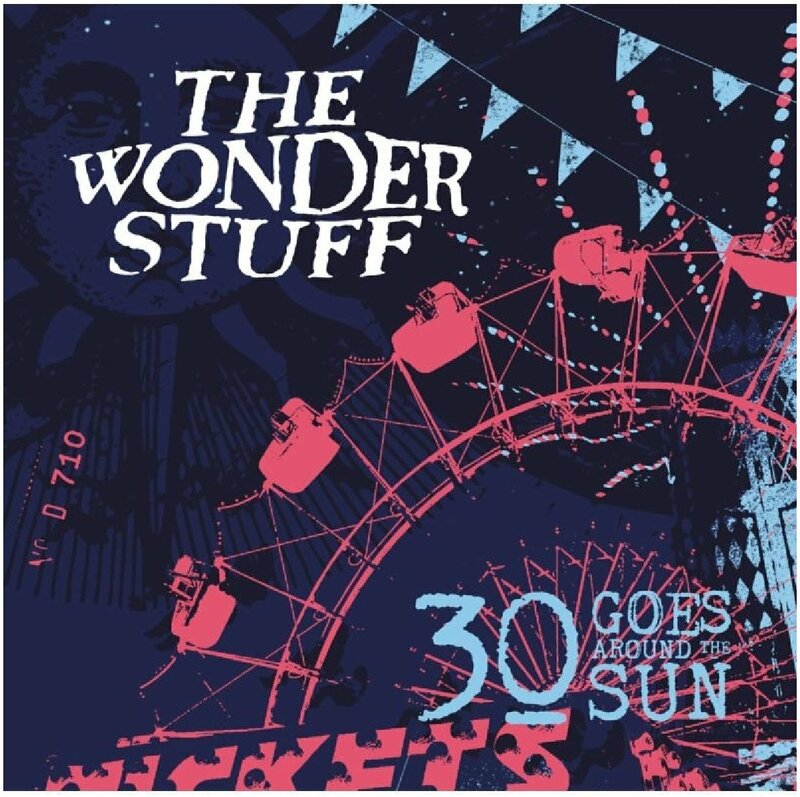 But this March marked the band’s 30th anniversary – or 30 Goes Around the Sun as Miles would have it, to name-check the latest Wonder Stuff LP. Has that time flown? “It has, and interestingly I discovered when writing my last book that Slade also look upon March 19th as their birthday as well. They’d have been 20 years old when we formed. As you get older you realise every aspect of life seems to speed up. 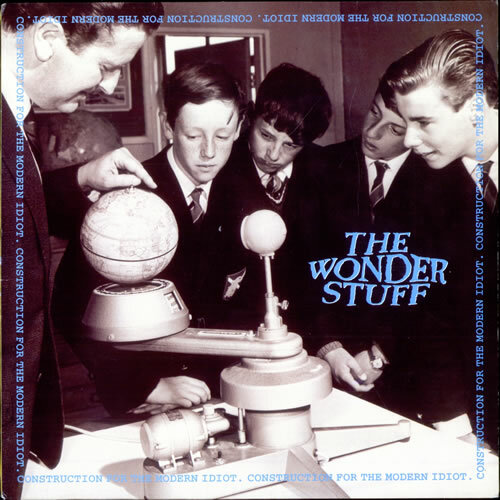 I was speaking to Pat Collier yesterday (who produced three original Wonder Stuff LPs), and we couldn’t believe three years had passed since we last spoke. That seemed ridiculous. It just so happens that Miles has a big birthday coming this summer – his 50th. Has that led to a midlife crisis, or did he get over all that a long time ago? It’s 23 years this summer since original Wonder Stuff bass player Rob ‘The Bass Thing’ Jones died, while Martin Gilks was killed in a motorbike accident 10 years ago. Do tragedies like those put all the other moans and groans into perspective, sharpening Miles’ resolve to live for the moment? “I suppose so. I’ve never really analysed it, but those things have an effect. When I hear people moaning about hitting 50 or whatever, I remind them that there isn’t a better option! “Stop f***ing moaning! You’re better off celebrating making it to 50. Some of my best mates weren’t lucky enough to do that. We hear many scare stories of publishing and record deals involving ‘60s and ‘70s bands. How was it for you signing for Polydor in ’87. Were you looked after? “Yeah, I moaned at the time but that was just sparring really. We got on with all the staff there. I’ve had opportunity to stand in the MD’s office, stick my finger in his face and call him a c***, but then when we’d finish yelling at each other and he’d be like, ‘You alright?’ and I’d go ‘Yeah, yeah’. “And now, finding ourselves in Tokyo the other week and Chicago later this year, with 700 or so people turning up to shows, I realise it wasn’t me going around postering those cities – it was the record company doing all that promo work years ago that I still get to benefit from. “I had a great time at Polydor and liked all the people there. We didn’t always agree with each other but were treated incredibly fairly and had sensible management, with opportunities to re-negotiate and get as much money as we could. “And that was them telling us! Saying ’Now you’ve sold a quarter of a million records, you do know you can renegotiate and get more? But we were also made to realise if we increased an advance from £100,000 to £200,000, all we’d really do was bring £100,000 worth of pressure and would have to work that back. Times have clearly changed in the industry since those Polydor days. 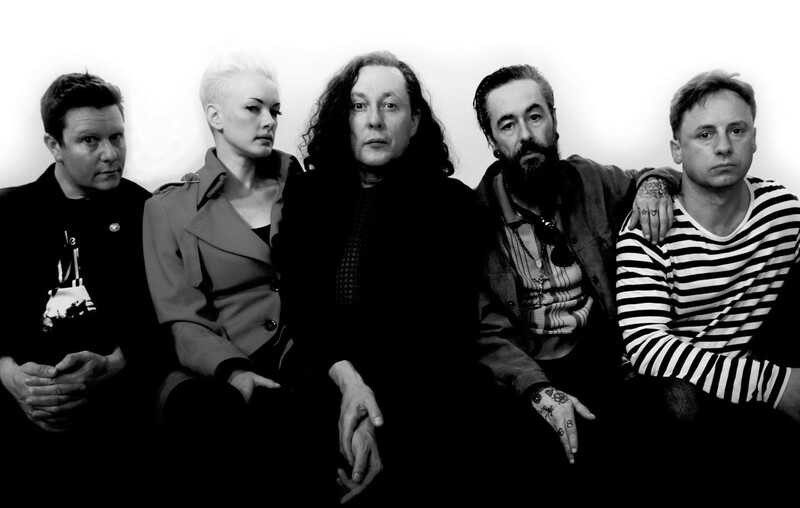 What was Miles’ experience of the crowd-funding approach with the new Wonder Stuff LP? “We did a Pledge-style thing with my book, using their business model from our website rather than giving them 15 per cent for use of their Blue Peter-esque thermometer. “All they were doing was giving us a platform. We talked to them though, and they were great people, but decided to do it ourselves. But things have changed now. It’s not just the thermometer. This album came out in March but you could pre-order last October, yet every sale counted as a first week sale for a chart position. I put to Miles that he was presumably waiting for a call from Top of the Pops that never arrived, and he laughs. But let’s go back there to the first part of the story there, the period from 1986 to 1994, in which the band had four much-loved top-20 studio LPs – The Eight Legged Groove Machine, Hup, Never Loved Elvis and Construction for the Modern Idiot – plus a best-selling singles album and 13 UK top-40 singles, including the No.1 cover of Tommy Roe’s Dizzy with comics Reeves and Mortimer. In short, they seemed to be eight wild years, with mass adulation for a top live and studio act. But what I’ve read since suggests they weren’t always having a great time. Towards the end it was certainly getting fraught, and earlier sleeve-notes suggest the tension was there as early as 1989, like for instance those for 38 Line Poem from Hup, Miles suggesting he might already have quit by then. Miles, barely three months after publishing The Wonder Stuff Diaries 86-89, thinks through what he’s going to say, then starts again. “I’m just at the point of starting my new book, and remember the first four years as mostly a great time, as everything we were doing was for the first time – like going to America or on Top of the Pops, or receiving cheques for £2,000 in royalties. But once you get to 1990, with two new members, nothing’s for the first time. And by ‘92, you realise you’ve picked the most repetitive f***ing job in the world. I know the rest of the world is suffering a lot more – trying to put kids through school and pay a mortgage, but I chose a very different way of living. “I could still look at a calendar and know I was going to be in Japan in November and Australia in December, and didn’t want all these things mapped out. The next year would be the same, and the year after. I didn’t enjoy that – the whinings of a petulant young sh**! I know where he’s coming from there, but it’s difficult to have too much sympathy. Thankfully he realises that though, and acknowledges that as he was doing most of the Wonder Stuff interviews back then, we were in danger of forever having ‘moaning Miles’ in our faces in the music press. 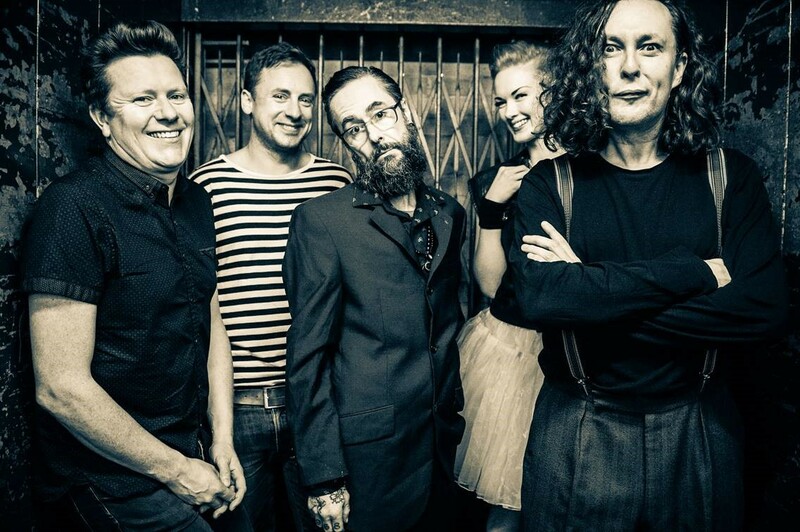 In time The Wonder Stuff defined their sound, not least through adding fiddle and banjo parts, first through Martin Bell. and since 2005 through Erica on violin. “Well, before all this I was a Dylan fan, and my favourite albums of his were Desire and Blood on the Tracks, which have some great fiddle on them. I can see Miles is heading for a rant there, so divert him on to safer ground. Does he ever hold sweepstakes over what time an interviewer will bring in a question about the band’s collaboration with Vic Reeves and Bob Mortimer on Dizzy? 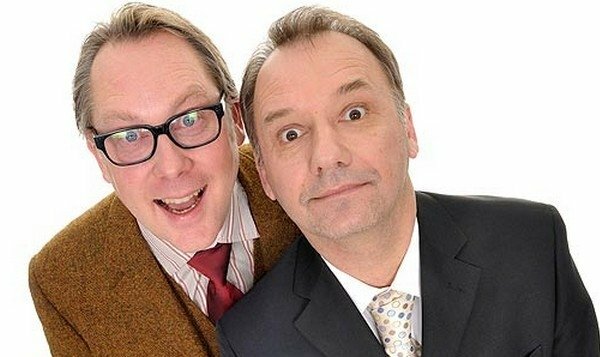 Will Vic and Bob make a cameo appearance when you play close to their old patch in Stockton-on-Tees this week (at the Georgian Theatre on Friday, May 27th, with a link here)? 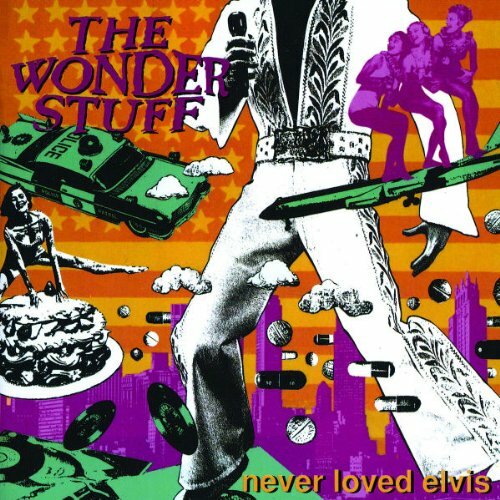 Do you think you got out at the right time, with The Wonder Stuff initially calling it a day in 1994? “Definitely. We couldn’t have known how big the change was going to be, but it was coming. And with everything that followed in BritPop … well, between A Wish Away and Size of a Cow we’d done the f****** lot! “We were ready to do something else, as we both proved. I went off to do Vent 414 and the rest went off and did We Know Where You Live. That was the stuff we were really into – Jane’s Addiction and Faith No More influenced American rock was what we were listening to. “I didn’t buy a single record by a BritPop artist through that whole period. I was at MTV Europe doing 120 Minutes, and the records coming in every day were fantastic – American stuff like Pavement and Sebadoh, then European bands like Blumfeld. When they did call it a day, though – what a way to go out, headlining in front of 30,000 at the Phoenix Festival in Warwickshire in mid-July, 1994. And there was that famous last line too, Miles putting a positive twist on John Lydon’s memorable question, asking the crowd, ‘Ever get the feeling you’ve been treated?’ Miles laughs when I put this to him, and I ask when that first came into his head. I only managed to see The Wonder Stuff twice back then. Unfortunately, for the second time my abiding memory is of my car being broken into and my specs being nicked on the return from that March ‘94 show at Preston Guild Hall, one of their last. 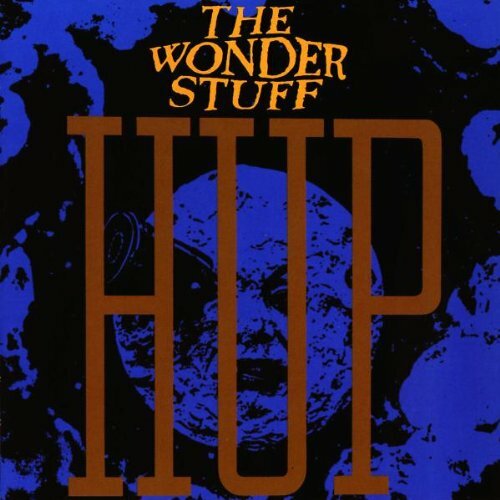 But another – 25 years ago this summer – was certainly a great experience for me, seeing The Wonder Stuff headline one of the two nights of Martin Hannett tribute show Cities in the Park in Manchester’s Heaton Park in August 1991. And I shouldn’t have to tell you that on their day they were a tremendous band. In fact, there was a line in an interview somewhere where Miles said, ’Half measures are no good. We’re brilliant pop entertainment’. That summed up the Stuffies’ live experience, I felt. Also, they once said, ‘If we weren’t in a band, we’d be roadies’. And I can see that too. Perhaps it goes back to that genuine Black Country ethos. Anyway, what had changed by 2000 to get the band back together again? “Well, Malc (Treece, guitar) and I had gigged as an acoustic duo in America for around five months, by which time both Vent 414 and We Know Where You Live had folded. We were writing together, and after another US tour my agent said about doing the same acoustic show in the UK. Then came word of an offer on the table for five nights at The Forum in London with the original line-up. “I said, ‘I’ll have a word’. It came up two years before, but Gilks wouldn’t do it, so I thought we couldn’t do it without him. I honestly expected to phone him and be told that was still the case. And yet by 2004 that incarnation of the band was over. Does that suggest you’re a difficult bloke to work with, or was everybody in The Wonder Stuff hard work? “Yeah … we just don’t like each other! Simple as that. Martin (Gilks) was in management by then, having a hand in Reef (in case you missed it, this blog spoke to Gary Stringer from Reef earlier this year, with a link here), and the way he viewed managing a band and the way I viewed being in a band were diametrically opposed. There was no middle ground. “On the final tour his idea was to play venues he knew we couldn’t fill and get the biggest fees from the promoters, bullshitting them. We’d just get this huge chunk of money and the promoters would lose a huge chunk. He’d just say, ‘Let’s just drive this into the ground’. But this was what I wanted to do. “He felt it was going nowhere and we weren’t going to do an album together – we weren’t getting on. I didn’t want that, but two gigs got cancelled, involving around 12,000 capacity rooms, while London and Birmingham went ahead. Miles continues, but I haven’t got an expensive lawyer like he has, so I’ll draw a veil there. Wait for his next book – or the one after that – for details of the court wrangles that followed. Anyway, now that legal situation is all settled, Miles is these days joined on the road by the afore-mentioned Erica and Tony plus Mark McCarthy (bass) and most recent addition Dan Donnelly (guitar). And it’s a good vibe again? I see you’re often doing semi-acoustic shows with Erica too. And this Saturday, The Wonder Stuff will be headlining Manchester Academy’s latest Gigantic indie all-dayer, with support from The House of Love, The Darling Buds, CUD, The Frank And Walters, and S*M*A*S*H.
Meanwhile, a host of other revered indie acts play the other two venues involved, with the Academy 2 seeing Jesus Jones headlining, with support from Bentley Rhythm Ace, Back To The Planet and Credit To The Nation, and Club Academy hosting headliners BMX Bandits, with support from The Telescopes, Bivouac and Jack Adapter. Furthermore, the event’s official after-show special guest DJ is Mike Joyce of The Smiths. It sounds a good ‘un, I put to Miles. 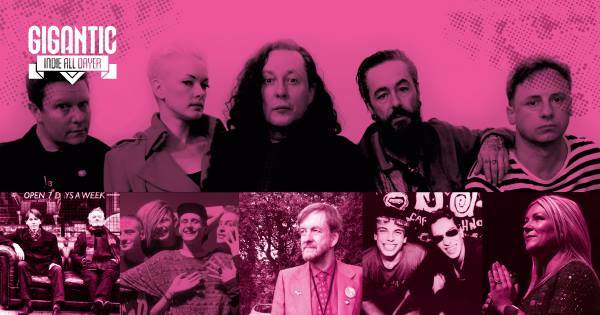 So is this indie showcase event the closest you’ll get to fully paid-up membership of the ‘80s Rewind circuit? For tickets and further details of the Gigantic all-dayer (Saturday, May 28, doors 1.30pm) call 0161 832 1111, head here, or keep up to date via a special Academy Facebook page and Twitter. A number of other Wonder Stuff happenings are scheduled for this summer, from Sunday, May 29th’s visit to the Down by the River Festival through to Sunday, August 28th’s Summer Fest in Solihull. What’s more, Miles and Erica bring their show to Gloucester’s Milefest (July 1st) and the Lowther Pavilion in Lytham (August 6th). For full tour details and further dates through to November, follow this link. And for all the latest from the band, try the official website here and the band’s Facebook and Twitter links. This entry was posted in Books Films, TV & Radio, Comedy & Theatre, Music and tagged 30 Goes Around The Sun, Bill Hunt, Black Country, Bob Dylan, BritPop, Dan Donnelly, ELO, Erica Nockalls, Gigantic, Hup, Jake Shillingford, Lucian Grainge, Manchester Academy, Mark McCarthy, Miles Hunt, Never Loved Elvis, Polydor, Pop Will Eat Itself, Roy Wood, Slade, Stockton, Stourbridge, The House of Love, The Wonder Stuff, Tony Arthy, Wizzard. Bookmark the permalink.